Winter pruning is used for apples and pears grown as free-standing bush or standard trees after the initial framework of branches is formed. 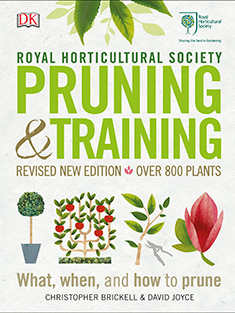 If you are new to fruit pruning or are not feeling very confident, try our pruning made easy page instead. For pruning one- and two-year-old trees see our page on pruning young apples and pears. Restricted forms such as espaliers, cordons, fans and pyramids are managed with summer pruning, although some pruning is done in winter in their formative training. Traditionally spur- and tip- bearing trees were pruned in different ways. However, current pruning techniques are very similar for both as it does not involve the rigorous routine shortening of all young growth. If the tree is too vigorous, sending out an excessive amount of growth each year, consider also carrying out some pruning in summer. Summer pruning depletes the tree's resources and will help reduce vigour. Note: this is done it addition to winter pruning and so is a little different from the summer pruning that is carried out on restricted fruit trees such as cordons and espaliers. Even with regular winter pruning, apple and pear trees are likely to become gradually larger making picking more difficult and potentially outgrowing the available space. Ultimately trees may require renovation. To avoid the need to renovate, when the tree has reached an optimum size for the rootstock that it is grafted on, regulated pruning can be used instead of the process described here. Regulated pruning controls the size without affecting the fruiting potential of the tree. Be aware of biennial bearing where a year of bumper cropping is followed by a year of poor cropping.